Following "Fragile" and "Drama", this is my third favourite Yes album. Complete with the longer song structures that Yes were well known for, but not as ridiculously overblown as some of their prior efforts (I'm looking at you, "Tales From Topographic Oceans"). 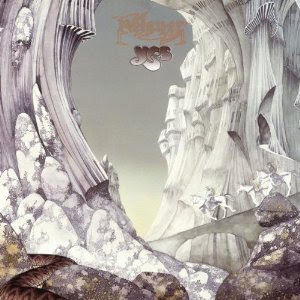 "Relayer" was the first album cut by the band following Rick Wakeman's departure. It features Patrick Moraz in his place, but in a much less prominent role than his predecessor (owing to the fact that most of the album had been written when he joined). The album is very jazz fusion influenced, and a particular highlight is the intense "Sound Chaser" (although singling it out may be a little pointless given that it is one of only three tracks on the album). Of course, the 22-minute "The Gates Of Delirium" is mind-blowing in the way it builds up, peaks and winds down. The only slight disappointment is the final track, "To Be Over", which is considerably less memorable than the other two. Still, this album is one of Yes' most overlooked, but it turns out to be one of the most rewarding.